Reno is exactly what the heart of Logan Square needed. 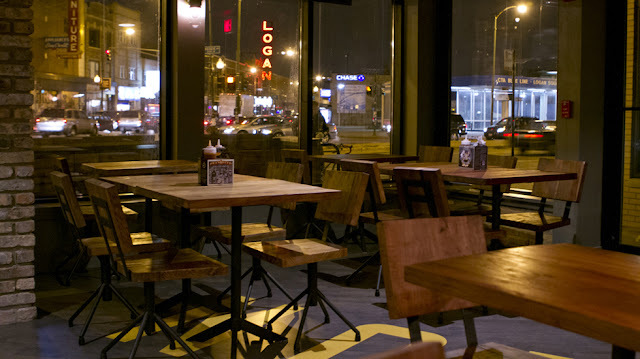 This restaurant, which is conveniently located across the street from the Logan Square CTA blue line stop, offers a cozy space to spread out and get some work done while enjoying a meal made in house. While doing exactly this, I thought to myself, this is so much better than sitting in a coffee shop for hours getting wired and eating mediocre pastries! There are communal tables, booths, and freestanding tables with plenty of space. I came in during a rainy afternoon and had a difficult time choosing between the sandwiches available on the “Noon” portion of Reno’s menu. 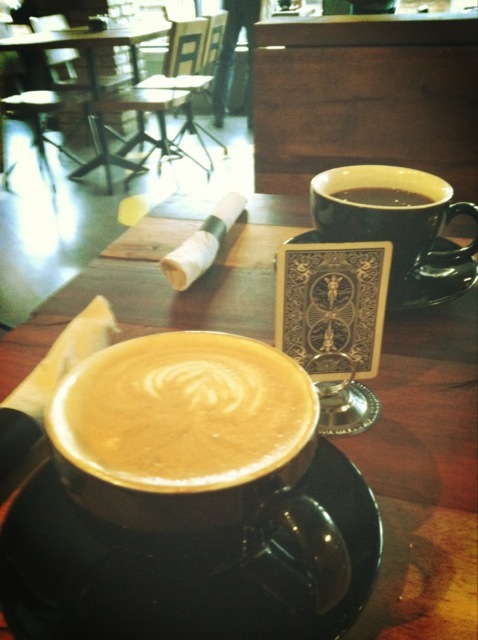 I placed my order and was given a playing card as my number; it's all about gambling at Reno. I tasted three of the six lunch sandwiches. Stop judging, I did have my girl Shelby with me. 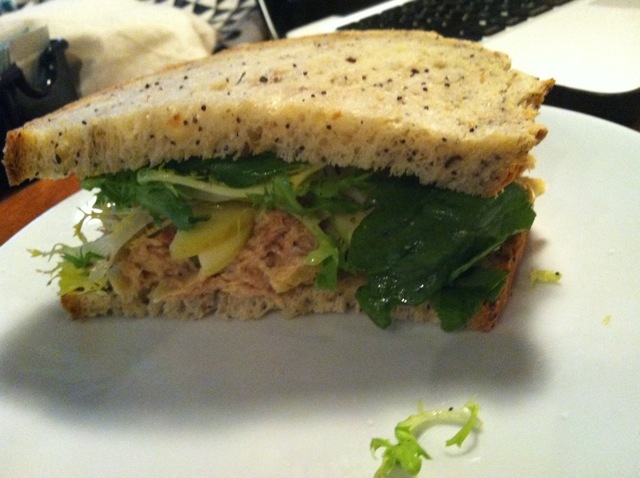 The first of which was the Guapo, which is a simple fresh sandwich comprised of Spanish tuna, celery, artichoke pickled peppers, red onion, and romaine served on freshly made whole grain bread. I then moved on to the more indulgent cowboy killer. 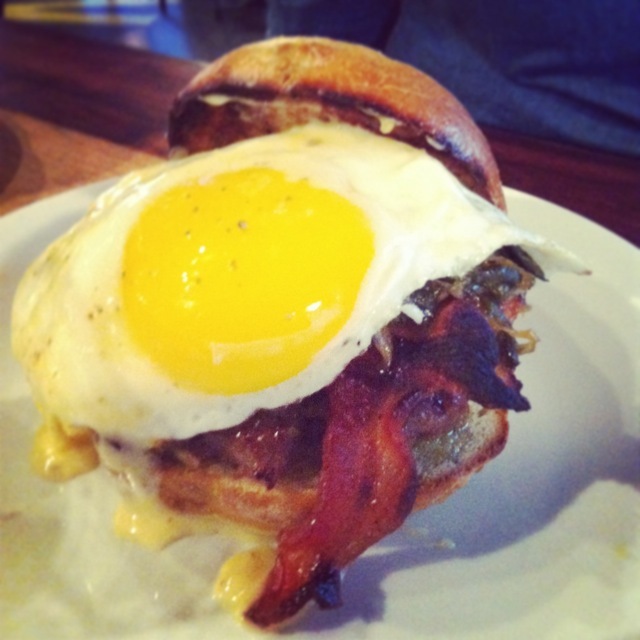 This sandwich was a bit heavy (too be expected) as it included maple fennel sausage, a fried egg, béchamel, and rajas. My final sandwich was the pine, my favorite. 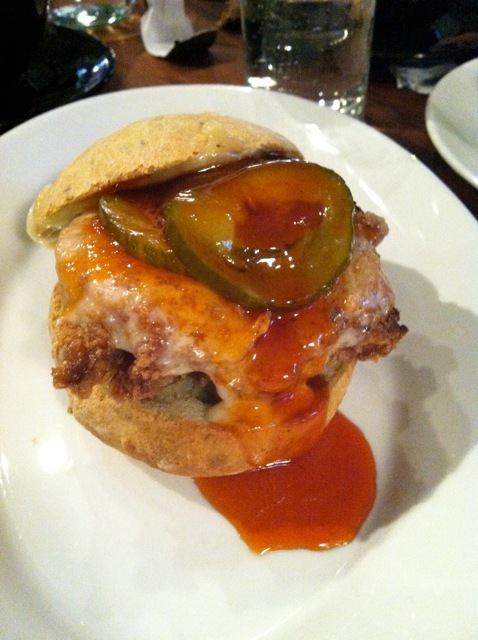 This chicken thigh sandwich was totally flavorful; perhaps it was the white cheddar, dill pickles, and hot honey. All three sandwiches were completely distinctive and were all clearly very thoughtfully put together with high quality, fresh ingredients. After getting some work done, I took some bagels home with me. 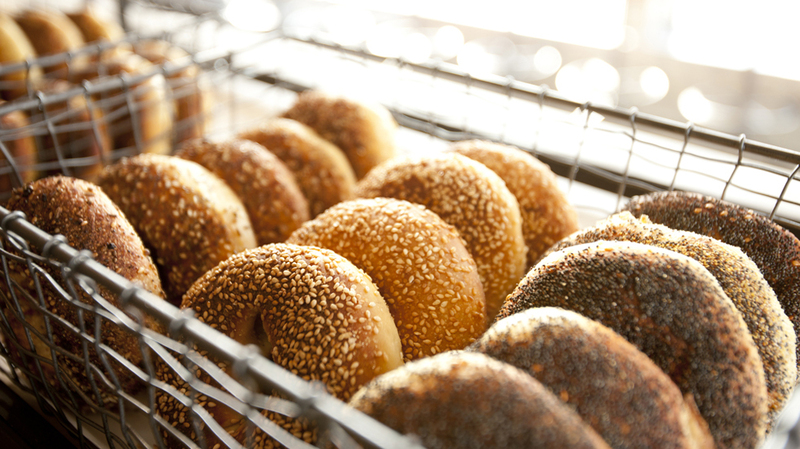 These bagels were delightful! Reno played their cards right by making great use of the wood-burning oven left from previous restaurant, Ciao Napoli Pizzeria. The bagels were smoky, crispy, and yet still chewy. It seems bizarre and unfortunate that there is a shortage of cafes and restaurants in Chicago that actually produce their OWN bagels. Thankfully Reno does just that. Along with the bagels, Reno also offers an aesthetically pleasing spread of pastries. 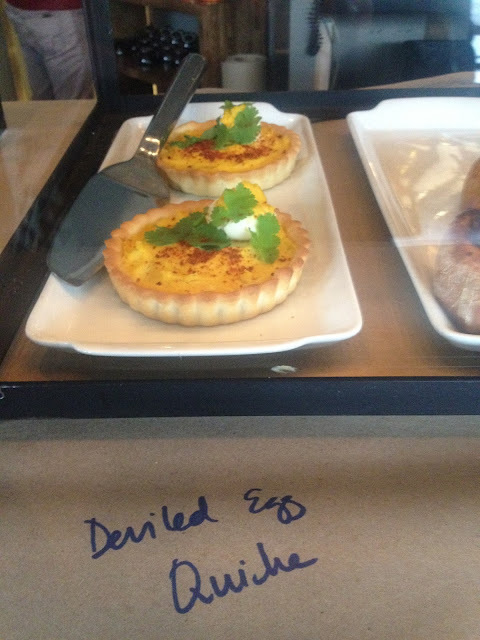 While I was in line ordering, I noticed the deviled egg quiche, which I am still daydreaming about. Reno offers Logan Square an excellent place to pick up a quick bite or a cozy space to sit down and stay a while, and I will definitely be back for more of those bagels and pizza!